The HPV account has been around long enough that we know a lot more about it. For instance, a Scandinavian study has concluded that the HPV vaccine doesn’t cause heart or blood clot problems, and that there was no correlation with an increased risk for other health events. In areas with widespread vaccine use, HPV rates, as well as rates of cervical cancer and genital warts, have dropped dramatically. It’s hard to argue with results! BUT… it has come to the attention of researchers that African American women are getting cervical cancer from HPV strains not found in the vaccine, and are generally infected with a completely different set of HPV strains. Strains 16 and 18, the ones in the HPV vaccine (although they are working on another vaccine with other common strains), do still infect black women, just not nearly at the same rate. 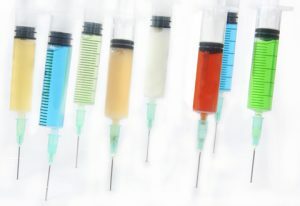 On a better note, it seems many vaccines, especially ones for kids, are being redesigned to not contain some of the nasty ingredients that many people have been concerned about for years. Mercury, aluminum, etc., are being left out. And who shouldn’t get the vaccine? Many vaccines recommend that people with weakened immune systems rely on herd immunity instead. I couldn’t find whether HPV is one of those vaccines, but I do remember that the original recommendation was that people already infected (just about everyone but children) not get the vaccine, which could worsen the infection (even if it’s a different strain). Anecdotally, this happened to my best friend who jumped on the vaccine when it came out—she went from occasional warts on her palms to warts up and down her face that she had to get professionally removed. On the other hand, data is showing that people with HPV still get some protection against cancer and warts (and my friend was fine after they were removed), and there’s no longer contraindications in the fine print about giving it to people with a pre-existing infection. While doctors tend to under-report vaccine side effects, I haven’t heard about a huge jump in business for plastic surgeons giving out wart treatments. What say you? Yay or Nay to the HPV vaccine?